This is one of the most unique colors. Goes in smooth and leaves a nice rich color. (Thicker dispersions should be thinned with water & glycerin 50-50). 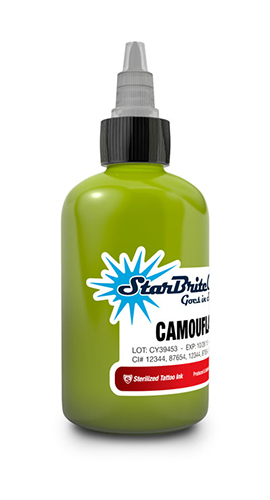 All StarBrite™ inks are pre-sterilized for safety and convenience. Ink should be kept in a cool, dry area.